GET IT AT BEATPORT HERE. Lorenz Rhode has disco balls for testicles and crushed velvet for chest hair, an inhumanly funky being with an inhumanly funky catalog of music. For Kitsuné Maison 14 Lorenz Rhode teamed up with Jamie Lidell on ‘Any Kind Of Pressure’. Here is a little video of them performing the song which is part funk jam, part disco freak out, like a meeting of Stevie Wonder and a New Jack Swing house band at a tropical disco campfire bonanza. It’s been nearly 2 years since his last release on Exploited. Meanwhile Lorenz remixed Moullinex for Gomma, Yelle for Kitsune, Strip Steve for Boys Noize, Cassian for Bang Gang and a few others and played shows all over Europe. 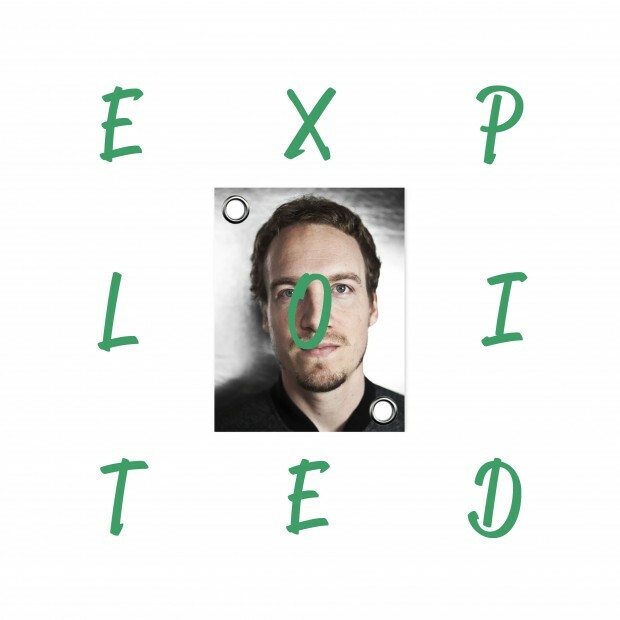 His comeback ‘Superficial Robots’ on Exploited is all laser drums, bubbling bass arpeggios, 808 snares and Herbie-ish chord riffs featuring the voice of Coco Solid from New Zealand of dance-outfit Parallel Dance Ensemble who released an album on Permanent Vacation last year.